I love traveling to new cities, and thanks to many technological advances, I can now travel without fear of getting (too) lost. On a recent trip to Seattle with a good friend, we used the Waze app to navigate to restaurants, parks, landmarks, and more, which allowed us the opportunity to enjoy this new place without having to worry too much about how we get around. Unlike other navigation applications, Waze creates a community by incorporating feedback from other users to report accidents, police hot spots, construction zones, and much more. Waze users share information with each other in real time in order for everyone to be able to determine the fastest or shortest route from point A to point B. The reports are surprisingly accurate, saving users time, gas, and traffic-induced headaches. 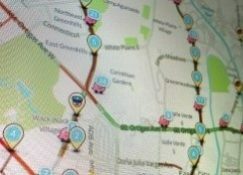 The reporting and analysis of the information that gets processed through Waze is similar, albeit nowhere near as complex, to a health information exchange (HIE). Essentially, HIEs are a hub for health care organizations (clinics, hospitals, providers, diagnostic labs, etc.) to share information electronically with each other—both at the local and statewide level—allowing for more quality and efficient patient-centered care. A new research study indicated HIEs cut down on redundant and unnecessary medical tests by giving providers access to a patient’s medical history; this decrease would result in annual savings of $63 million to Medicare’s outpatient therapeutic procedure costs. Colorado has worked to advance its health information exchanges over the past several years with the help of Colorado Regional Health Information Organization (CORHIO). CORHIO’s HIE is one of the largest and most robust networks in the United States. It has more than 10,000 users and connections to 61 hospitals, and additional hospitals are in the process of participating. The utilization of HIEs have benefits such as: improving public health reporting and monitoring, eliminating unnecessary paperwork, reducing medication and medical errors, reducing health care costs, and more. Additionally, data sharing and new technology is making it possible for communities to test new models of care and payment—like Accountable Care Organizations, Medical Homes, and Value-Based Purchasing Programs. These models are designed to improve care coordination and disease management. We know these improvements are especially beneficial to people of color, low-income Coloradans, and others who are disproportionally impacted by health inequities. Despite the potential benefits, however, there are some barriers to widespread adoption that are beyond a health system’s control. The success of HIEs can be attributed to collaboration among many health systems, and having buy-in from providers throughout different regions. Like Waze, reports on CORHIO only work if users are actually buying into the system of information sharing and contributing to the dataset. At Center for Health Progress, we uncover commonsense solutions to complex challenges—and thanks to advancing technology, this is becoming easier. As technology continues to evolve, I hope we see even more collaborative efforts that leverage the power of data to create a health care system that improves the health and lives of Coloradans. Waze has already been good for my mental health—the possibilities for using collective data in service of good health are endless! Waze is awesome, and your blog post is too!